The Understanding Risk and Financing conference (UR&F) served as a platform for African policy makers to meet and discuss effective strategies and approaches for quantifying and managing financial risk at a regional, national, and local levels, including those associated with natural hazards and climate change. The conference, co-organized by GFDRR/World Bank, the AUC, the EU and the Government of Ethiopia, attracted 450 participants and a wide range of African partners including African Development Bank, Addis Ababa University, African Risk Capacity, along with 20 additional organizations, including private sector firms and insurance companies. Out of 95 speakers in total, 65% were from the region and 33% were women, and the following on social media was strong, with over 950 tweets which reached 34,000 impressions. More at URf by the numbers. 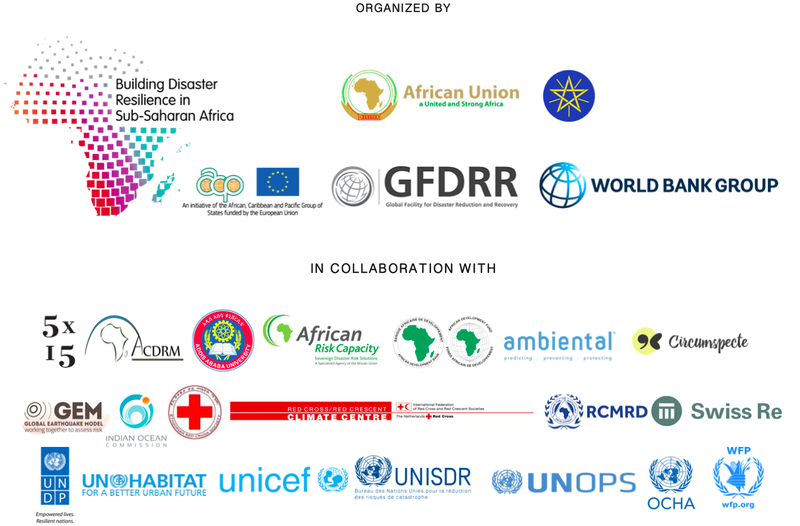 The conference was organized as part of the Program “Building Disaster Resilience in Sub-Saharan Africa”, an initiative of the ACP Group of States, financed by the EU, and implemented by the AUC, UNISDR, AfDB and GFDRR/World Bank. The conference also served to launch the Africa Disaster Risk Financing Initiative (Result 5 of the above-mentioned program). View the agenda here. Programme français ici. Watch the highlights and focus day videos below and check out additional videos, including interviews with Colin Bruce, Emilienne Raoul, Firmino Filho, Ger Duany, Mary Mye-Kamara, OB Sisay, Stefan Dercon, and Sameh Naguib Wahba.